Yesterday was one of those days in the shop. I had a few hours I could devote to woodwork, so I decided I would work on another pipe. As I began shaping it, I went to re-adjust the handscrew that was clamping the workpiece, and the whole thing (wood, pipe stem, and handscrew) fell to the ground, shattering the stem. So I did what I always do when things go wrong in the shop. I took out some straight-grained wood and made a spoon. It’s something I can do quickly and confidently, though not without thinking about it. My tools and materials rarely let me down. This one is pecan–not easy to shape, but very strong and durable in use. This one is a narrow stirring spoon. It’s all probably just as well. 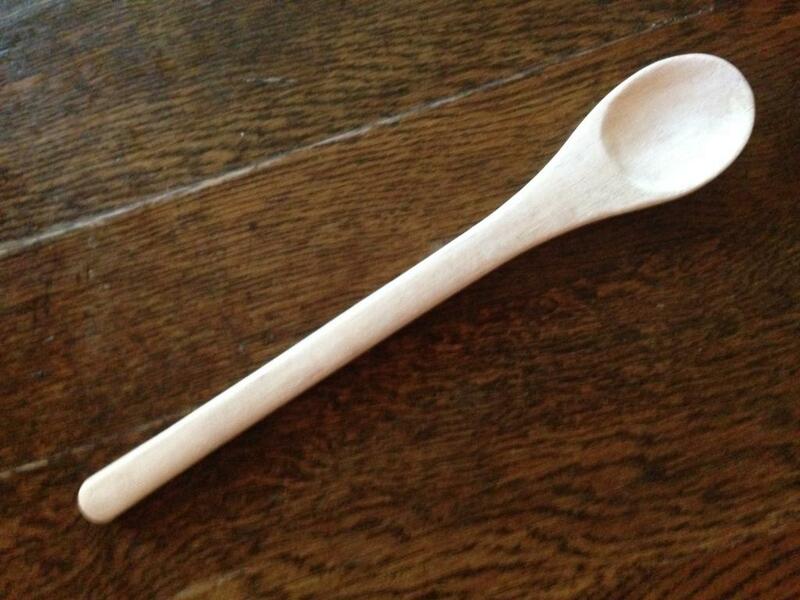 A recent spate of weddings has depleted my stock of wooden spoons, and need to build up my stock again. What about you? What do you do when disaster strikes in the shop? Do you plow ahead, switch to something else, or just walk away? This entry was posted in Musings, Wood and Woodwork, Woodenware. Bookmark the permalink. I always go for a walk on those days. Or if it’s really bad, I call it quits and go home to split firewood. I adhere to a two mistake rule – make two mistakes on the same project and I work on something new or leave the shop for the day. I might try the make a spoon thing. Wow Steve, you have to hate Day’s like that and gosh knows I have had my share of them. When disaster decides to hit I leave the shop ASAP before something else happens like hurting myself trying to do something. I head for the house and pick up one of my Wood Working Books or watch one of Paul Sellers video’s. Watching Paul’s video’s for me any way is the best antidote. Spoon carving is something I really want to get into as it looks like fun and some thing I could probably do in the house somewhere as well. I believe you showed this one other time but not sure how to look for it but what is the minimum amount of tools needed ? I have a nice #7 1″ gouge right now and that is it.